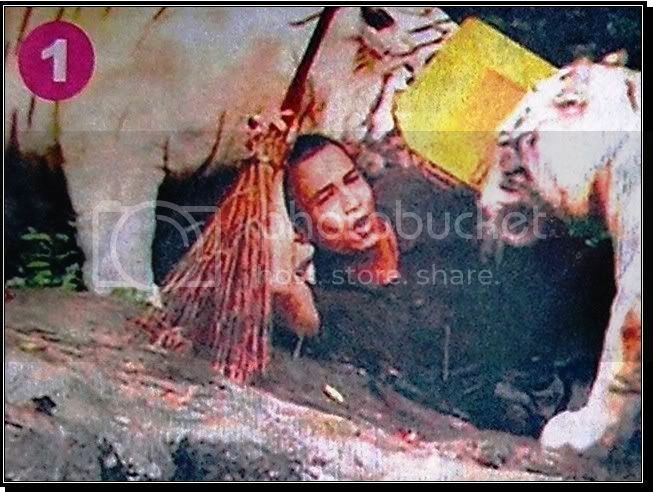 Attention Please Shocking Exclusive: Malaysian Cleaner Mauled By White Tigers Missed His Parents! 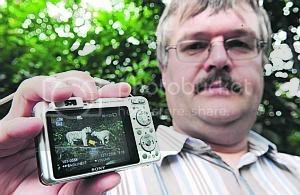 Exclusive: Malaysian Cleaner Mauled By White Tigers Missed His Parents! I'm sure a lot of you have read and heard about the demise of Nordin Bin Mondong who hailed from Sarawak, Malaysia right? A man who sent himself to be eaten by 3 tigers? It's like a meat being thrown to a tiger...will any tiger resist it? I couldn't believe it when I first knew about it, thinking that no sane man will do that. Heck, even those who initially witnessed the horrifying incident thought it was part of a "show" courtesy of Singapore Zoo! It could be, if Nordin was not mauled to his death right? As I mentioned no sane man would have done what he did right? But I strongly believe that the moment before he was attacked by the tiger he was indeed crazy. These cubs are surely cute right? than what he bargained for! 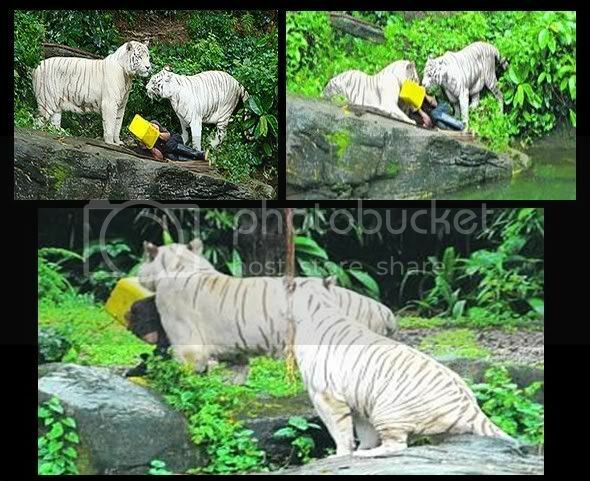 "A CLEANER at the Singapore Zoo who jumped into the white tiger enclosure yesterday was killed by the animals as a horrified crowd looked on helplessly. 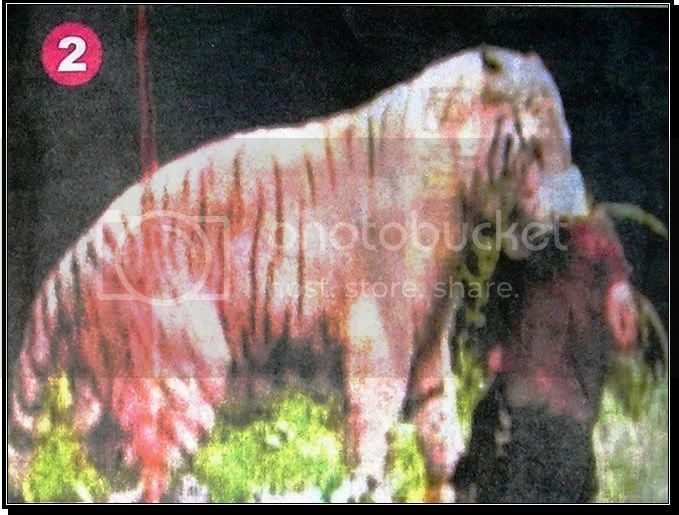 Malaysian Nordin Montong, 32, was set upon by two of the three big cats in the enclosure at around noon. 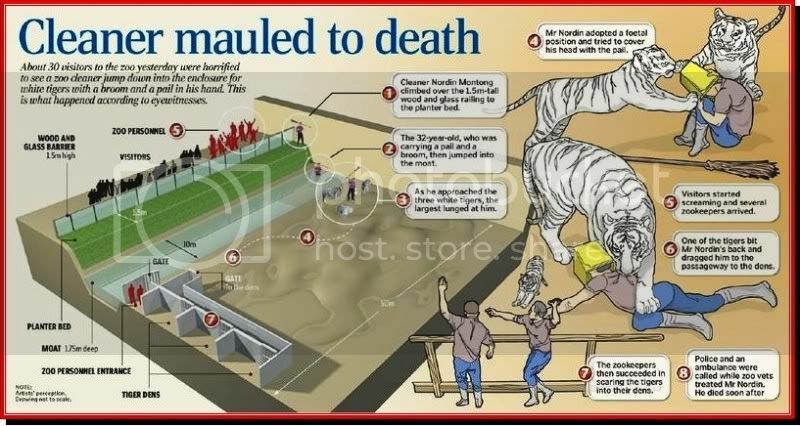 According to eyewitnesses, Mr Nordin, who was seen shouting and flinging items about shortly before the incident, vaulted a low wall and landed in a moat in the enclosure, four metres below. 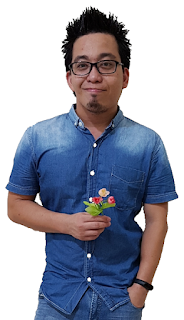 Carrying a yellow pail and a broom, he then crossed the 1.75m-deep moat, walked up to a rocky ledge near where the animals were and began agitating them by swinging the broom. As two of the tigers approached him, he covered his head with the pail, lay down on the ground, and curled himself into a foetal position, two eyewitnesses, an Australian couple, told police. Their identities were withheld pending investigations. 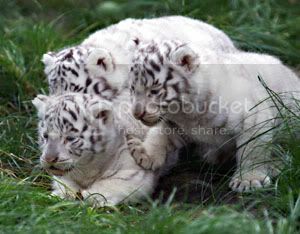 In a flash, two of the extremely rare white tigers were on him. One took a swipe at him with its paw - which is about the size of a softball glove - and he began screaming in pain, said another eyewitness, Dutch tourist W. R. de Boer. He said many in the crowd of 30 or so onlookers at the enclosure initially thought the intrusion was part of a show. But when Mr Nordin began screaming, they reacted with horror. ‘Some were screaming: ‘Go away’ to the tigers and others were shouting to scare the tigers,’ he said. The cries alerted zoo staff, and the alarm was raised. About 20 keepers arrived within minutes. Some tried to prevent the attack from continuing by throwing brooms and dustbin covers, while the rest ushered the shocked onlookers away. Also deployed were two zookeepers armed with rifles and live ammunition, but these were not used, said the zoo’s assistant director of zoology, Mr Biswajit Guha. Despite the efforts of the keepers, one tiger continued attacking Mr Nordin for several minutes, the zoo said in a statement yesterday. It only relented after a door to the tigers’ feeding area was opened. The animals retreated to it, leaving the cleaner motionless on the ground. Once the tigers were in the feeding area, the door separating it from the rest of the enclosure was closed, and keepers were able to reach the cleaner. It was too late, however. Mr Nordin, who hails from Sarawak, had been bitten on the neck and suffered a fractured skull. He died before police arrived." broom and yellow pail to ward off the white tigers. He was also heard crying, "Jesus, help me! I'm sorry ok!" dragged him into their "den" to eat him! Yes. This is what I found out from the Chinese Dailies. His neck was broken and almost bitten off by the tigers. There was a big hole in Nordin's head/skull. The tigers had bitten his neck forcefully and brutally...causing his head to be (almost) ripped off from the neck with only a thin layer of flesh and skin holding the head and neck together... Moreover his brains were "oozing" out from the huge hole in his skull! I read about this news. Indeed saddening. Tragic that a life has to end this way...it seemed news report said the man was behaving erratically that day...could be a suicide?? This is shocking indeed. If I had been there, I think it would be a traumatic experience witnessing it! Why did he wanted to offer himself to the tigers? What was he thinking? The tigers normally go after their victims' neck - that's the easiest way to kill them. Despite this event, I just love Singapore Zoo. Very well managed and miles better than our very own Zoo Negara! Day-dreamer-->You can say it again! actually what happened? was it an accident or really he tried to kill himself? but it's certainly hack of a tiger damn show. now affected my urge to viist thailand already!